Happy Friday everyone :) I felt compelled to spread a little sunshine and love so I pulled out my watercolors and pencils and created this "LOVE" image. I have converted it to a Photoshop Brush (with two brushes - the watercolor letters and the pencil outline) and transparent .png files for those who don't use Photoshop and/or prefer .pngs. These are high resolution brushes so if you are using an older version of Photoshop you may have to open the .pngs, resize down and then click Edit>Define Brush Preset. 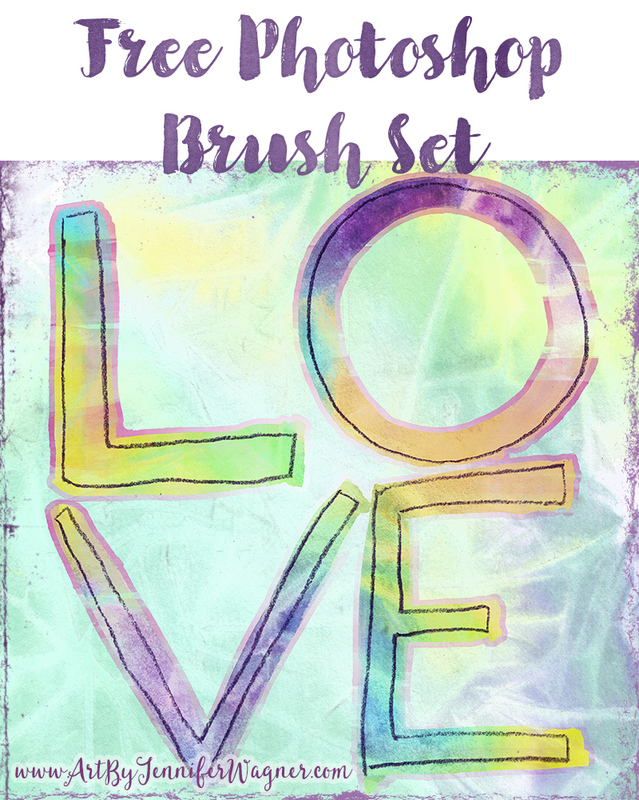 I hope you enjoy using these brushes and keep spreading good energy! In my example image I have clipped a rainbow-y watercolor that I painted on top of the watercolor brush layer and added a stroke layer style in a pink/white radial gradient to it, which I then converted to it's own layer and masked in using a different watercolor line brush. Download the zip file here!